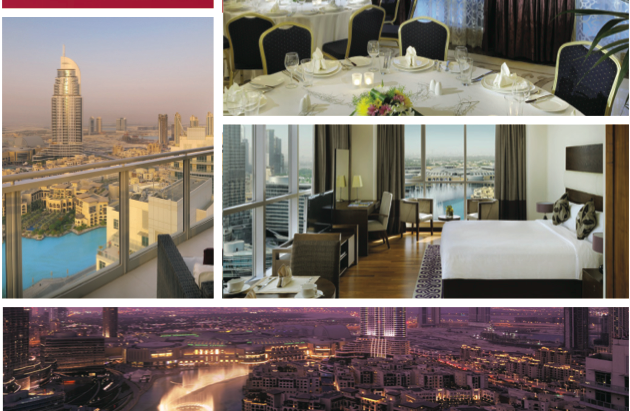 In order to keep guests happy, the property established a series of programs to help. Sharief explains, “We’ve always been committed to guest service. We even have a dedicated department, called ‘Meet and Assist,’ to ensure all guests’ needs are met.” Revinate Scorecards coupled with these face-to-face initiatives make it easy to evaluate guest satisfaction scores and identify specific ways each team can improve. 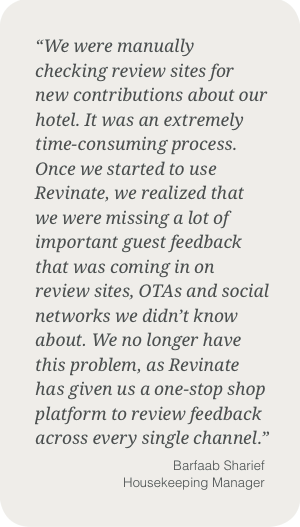 With comprehensive guest feedback to act on at its disposal, the hotel has been able to dramatically improve its online reputation. 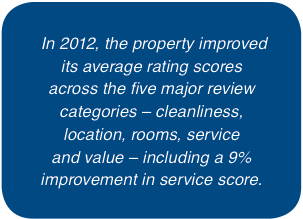 In 2012, the property improved its average rating scores across the five major review categories – cleanliness, location, rooms, service and value – including a 9% improvement in service score. The hotel jumped nearly 100 spots on TripAdvisor in 2012 and saw a 7% improvement in overall positive review mentions received. This positive trend has only accelerated in 2013. To-date, the property has improved its overall average review score more than 6%, elevated its average rating across all review sites from 3.79 to 4.04 and received 36% more positive reviews than in 2012. Finally, more than three-fourths of general staff mentions in reviews were positive, a whopping 88% improvement from 2011.